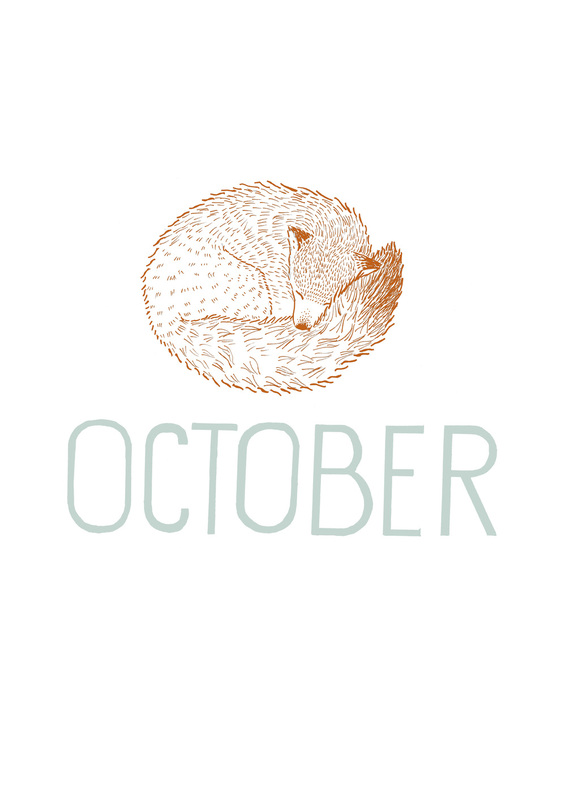 I've been designing a birthday calendar which is inspired by different types of hand lettering and the seasons. I am glad to say it is nearly finished! Everywhere I go I have my scketchbook with me and whenever I have an idea, I start to draw. On the train, when it's calm at work, at home with a babbling Oskar by my side, in bed, everywhere. Each month is drawn with pen and ink and has a matching animal or theme.